Enterprise storage is a critical component of any large business. It varies from personal or small business storage, in that it must contain huge volumes of data that a large number of users have access to. Since enterprise storage is so critical, but also so different from the storage most of us are used to, it’s important to be familiar with the components of an enterprise system. Here are seven terms you should know. An on-premise enterprise storage system is purchased and deployed by the company planning to access it. The advantage of an on-premise solution is that the organization maintains control both of the technology and of its data, alleviating many security concerns. A cloud database system uses an external cloud provider to store the company’s data. Cloud storage offers several advantages including less management costs, no upfront purchase of the hardware and scalable data storage. In some cases, a company may use a combination of a cloud and on-premise solution. Enterprise storage must be more reliable and scalable than consumer solutions. As such, they are generally more expensive and difficult to set up. Storage networking refers to the linking of storage devices to each other as well as other computer systems. Storage management includes the processes and technology that control and maintain the storage system. There are several types of storage media available for enterprise storage. Tape is inexpensive but it also has poor performance and capabilities, so it is generally only used for backups or archive applications. 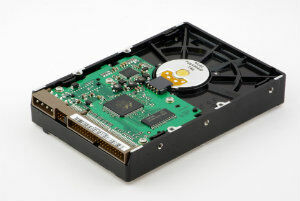 Hard Disk Drives offer better performance and are commonly used for primary storage as are Solid State Drives. However, SSD’s are the most expensive option. Many companies choose to use a mix of HDD’s and SSD’s to help alleviate the cost and still get good performance. Finally, flash array storage is a newer option that offers higher performance than hard disk at a more affordable price than SSD’s. There are three main types of storage architecture. Direct Attached Storage devices connect directly to an individual device and don’t offer collaboration capabilities. Storage Area Networks grant block-level storage that can be accessed by servers, and Network-attached Storage provides file-level storage that can be accessed by end users. In general, companies will use a combination of devices in their storage architecture. The network protocol necessary for a storage system depends on the storage architecture being used. Fibre Channel Protocol and Internet SCSI protocol are used with SAN, and NAS requires IP storage protocol. Enterprise storage is divided into the three categories primary, backup and archive. Primary storage takes care of the data that users are currently using. Backup, as the name suggests, contains a backup copy of the data contained in primary storage in the event of data being lost.Finally, archive storage is where all of the old or outdated data is kept for compliance purposes. Familiarizing yourself with these terms will better help you understand our enterprise storage system, so you can spend more time working with applications and less time dealing with technicalities.